We went for a trip to York today to visit some friends so we went for a walk to a park. 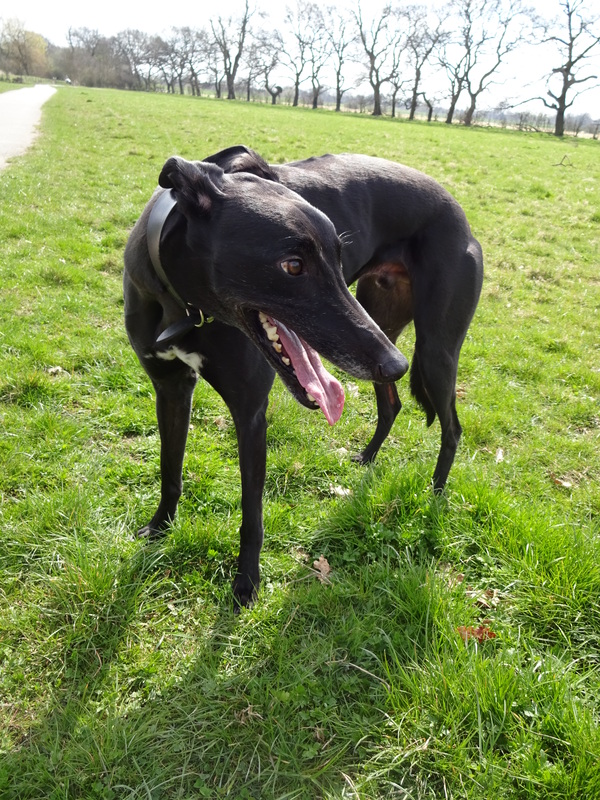 It didn’t take long for us to spot a very handsome Greyhound; Tink was very friendly and smiley! Tink is a rescue dog from Rescue North East. He was rescued when he was 6 months old but he wasn’t ever used for racing. Favourite toy: Tigger the tiger. It’s a cuddly Tigger but it’s in bits now!